Small and insignificant, with a slight spattering of freckles across his nose, ‘just like his Great Aunt Elsie’. 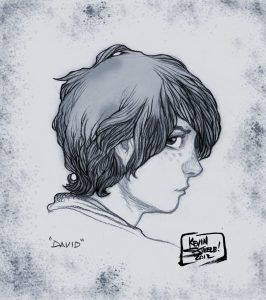 David doesn’t have much belief in himself or his abilities, but his quick thinking and active imagination are usually enough to help him out of trouble. And there’s no shortage of trouble in Esmorde! How can I help anyone? I’m no one.